The story of James O’Connor is one of inspiring dedication, intellect, hard work, and most of all a story about a man’s will to live. 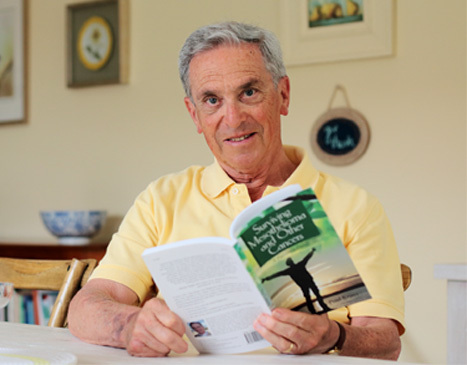 James O’Connor lived nearly 6 years past his prognosis with Mesothelioma. Mesothelioma is a rare form of cancer that develops from the lining in the body that covers many of its internal organs. This form of cancer generally only carries a life expectancy of one year after the date of diagnosis. This is what makes the story of James O’Connor so special. He lived long after what he was expected to with this disease, and only did so through his personal research and time spent personally working with doctors to create a treatment plan customized for him. It is hard to imagine what someone else would do in the same situation. One of the first things a person has to overcome with such a diagnosis would be the psychological shock and depression that would undoubtedly follow. Generally one would think knowing that they were going to die no matter what of such a disease would destroy any motivation they would have to fight it. Instead of looking at treatment options or spending time to worry about the disease a multitude of people would be scared to lose any time they may have with friends and loved ones in case such treatments did not work. To spend hours and hours researching the possible treatments and why such treatments may be effective takes a sense of will and a different way of looking at things. Instead of being afraid to lose any time they may have, they would be looking at it as gaining time to spend with those loved and do the things that they may want. James O’Connor gained six years of laughter, love, happiness, and time with loved ones due to his ability to look at things from a different perspective. I would love to say that I would have his immense will and inspiringly optimistic personality, but I do not know if I could do everything that he did. Only being twenty years old and receiving a diagnosis of a deadly cancer would be an immense trauma, but at the same time I do know that I would be the type to research everything I could about the cancer. I do so know as I have a personal health problem that has yet to be diagnosed. Although, it is more than likely not life threatening, I spend a large amount of time trying to personally match my symptoms and findings of tests with health problems it could be. I also look up the treatment options that may be afforded to me and try to decipher which one it would be. I believe I would do at least the same, if not more, if something life-threatening was diagnosed. Not simply to save my life, but from an informational standpoint to know what it is that is wrong with me for personal knowledge. What I question would be my ability to implement my knowledge gained to make a decision on treatments. Even now I have trouble deciding if I should take a treatment option available to make my current life easier at the cost of something down the road. Although with a one year prognosis there is not much down the road, there is a quality of life factor. It would be very hard to determine if a treatment is worth the costs of my life quality over the course of that year for the small opportunity to maybe extend my life for a bit. Chemotherapy and radiation for example may have much to offer, but at the same time can also cause a multitude of negative side effects that could reduce the quality of time spent living. The question then becomes is it better to live one year healthy or 5 years too sick to do anything with my family. On the other side however some people experience little to no side effects from such treatments options. These are very important questions and I think first I would look at the success rate and check it against the success rate of other treatments. I would look at not only medical treatments offered by my doctors, but diet and exercise regiments that may help, plus alternative treatments that could help. I think that a thorough understanding of the areas affected, how, why, and what interactions the cancer has with these areas could greatly help in understanding if an alternative treatment could or would work. This would probably be the part of the research that would take the most time, looking through all of the forms of therapy and treatment besides just those offered or suggested by your medical professionals, and finding the ones that make sense to your own working knowledge of the body. It would take a very strong will and almost hard-headed determination to go against the advice of your doctors. To make such decisions I would probably look at studies of patients who had the greatest results and attempt to decipher why or what allowed them to have such results. Obviously to copy their exact treatment regiment would be a mistake because not all things work for everyone and not every case is precisely the same. This would, however, give me some suggestions or steer me one way or the other on a treatment that I may have been undecided on. Looking also to doctors that are not involved with me specifically would be something I might consider. This is only because sometimes a different opinion that is not directly a part of the situation can offer different insights. What may be the most important opinions, however, would probably be those that come from my friends and family. Not necessarily because they would know much, if anything, about the treatments or the disease, but because if a treatment is having such negative affects that they are suffering too, or that it is destroying my ability to spend any quality time with them, I would want to know.